At some point during your wedding planning you will probably realize (if you haven't already) that weddings aren't cheap, and you may be forced to make difficult budgetary decisions. 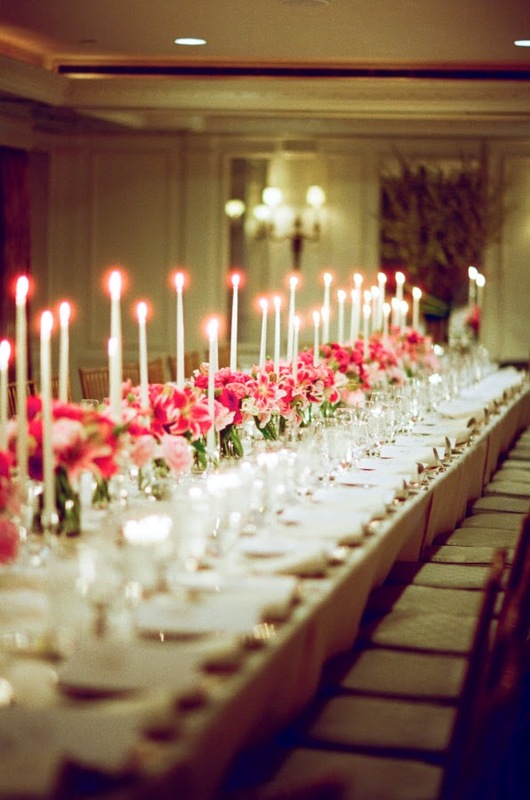 There are many ways to cut costs out of your wedding budget. For example, you can choose not to give out wedding favors, limit the choices at the open bar to beer and wine and choose elegant, inexpensive wedding centerpieces. The key is to find inexpensive wedding centerpieces that fit into your overall wedding theme without coming off as cheap and tacky. With a little thought you can make this happen. 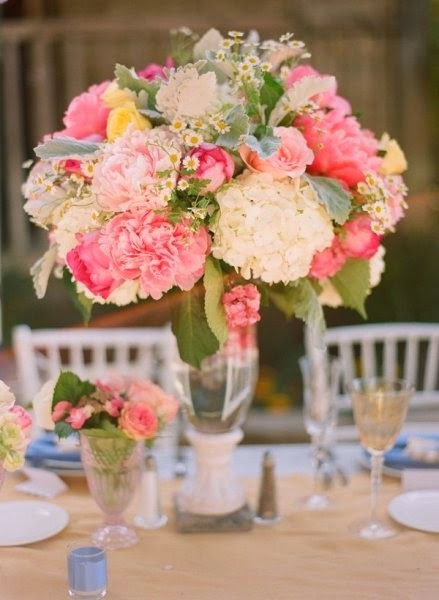 The most popular choices for wedding centerpieces contain flowers in some way. If you have talked to any florists, you will quickly find out that you have to pay a premium to have the beauty that flowers can bring to a wedding reception. Instead of real flowers, consider silk floral arrangements. These aren't the silk flowers that your grandmother has from the seventies. Silk floral arrangements today are created by artists, and honestly they are sometimes more beautiful than the real thing. Dried flowers are another possibility. Many times they are less expensive than fresh flowers, and you can also combine them with silk or select fresh flowers. Lastly, if you have a few close friends or family members helping out you can create your own floral arrangements to use as your centerpieces. 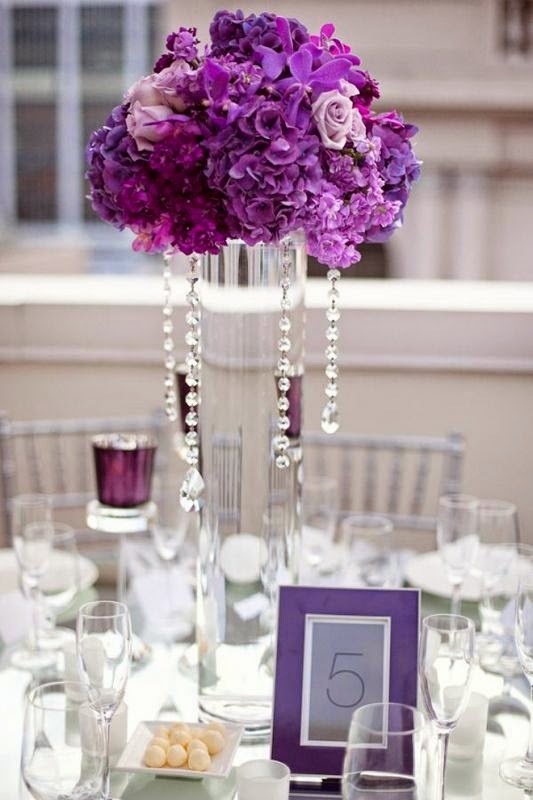 Another option for inexpensive wedding centerpieces is taper displays. Take three or four tapers of different size and put them on a decorative plate or other holder. Tapers come in all shapes and colors, so it should be easy to match the color of your wedding. 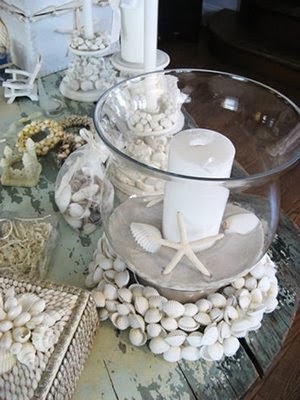 You can also add a few silk or dried flowers to the centerpiece for added effect. Hurricane vases are elegant and practical, and you can do many things with them. They can be found at many craft stores and online for only a few dollars each. 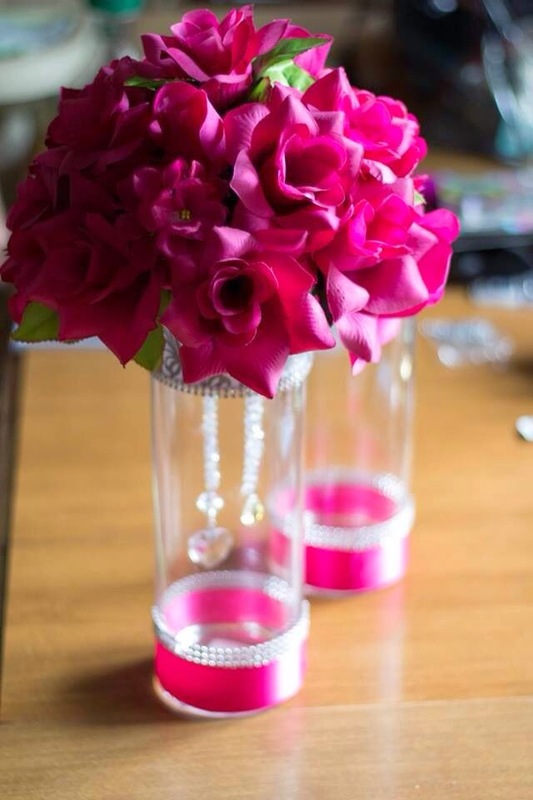 Take the hurricanes and fill them with an object that compliments your overall wedding theme. 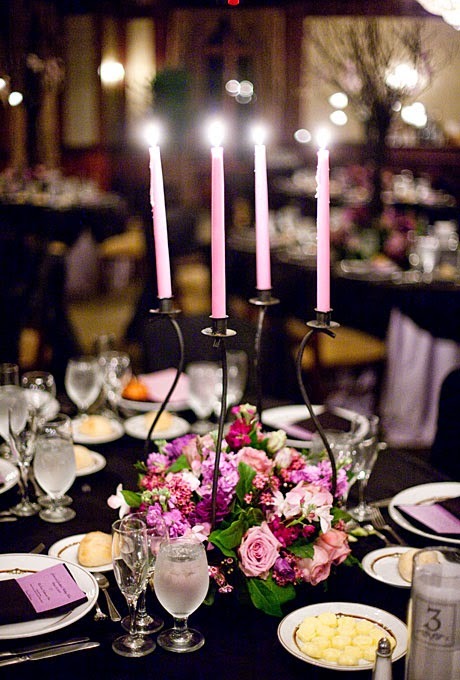 For example, tapers or pillar candles work really well. 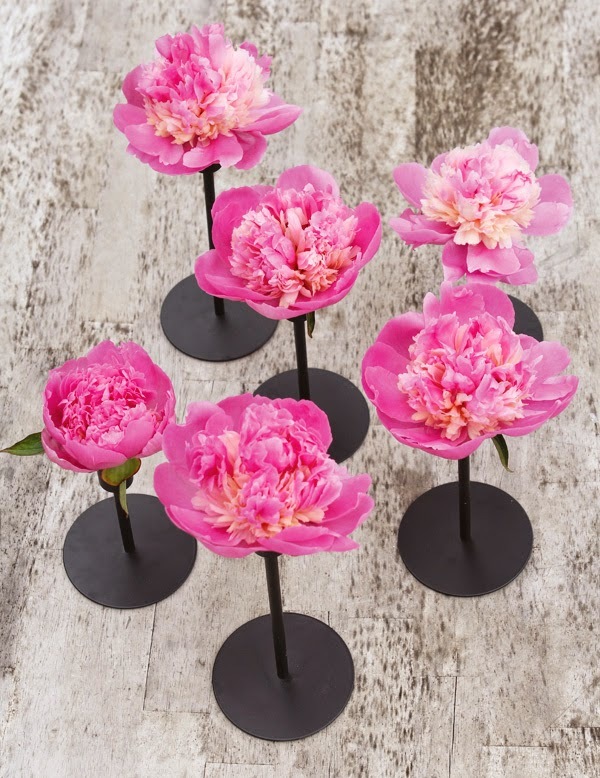 Wrap ribbon or silk flowers around the base, and you have the perfect inexpensive wedding centerpiece. Other things to put in a hurricane include stones, water with a single Gerber daisy, coffee beans and just about anything you can think of that goes with your wedding. 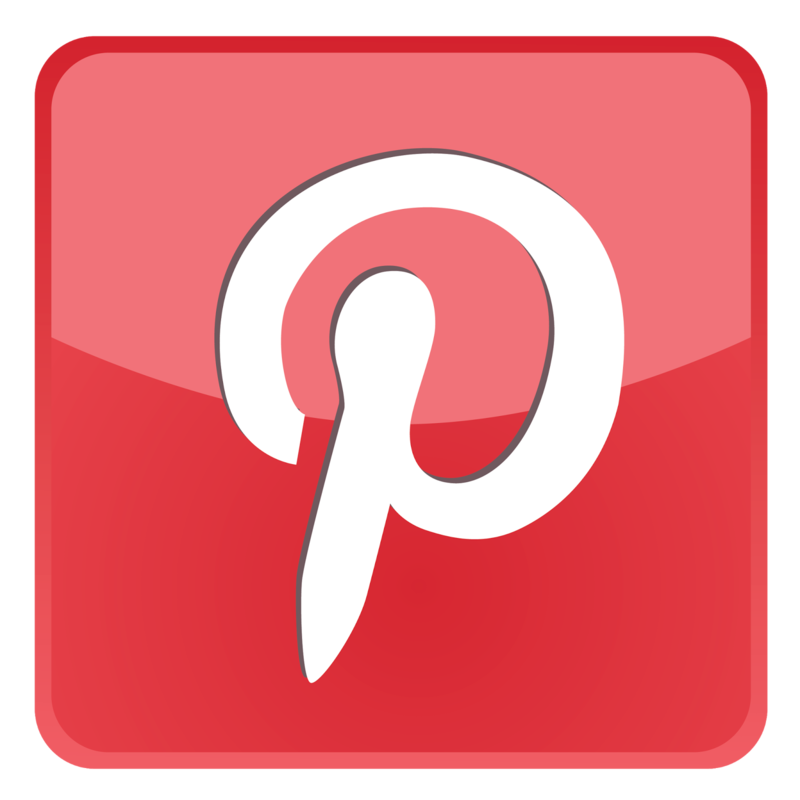 It is easy to get overwhelmed when planning a wedding, especially the financial end of things. 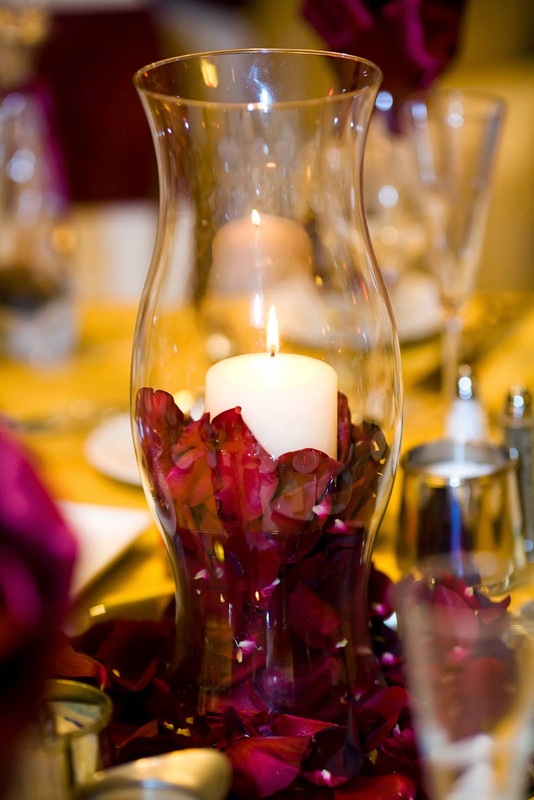 With a little thought you can trim some of those costs by making creative and smart choices about your centerpieces.